Yesterday was a fun, yet a very, very busy day. 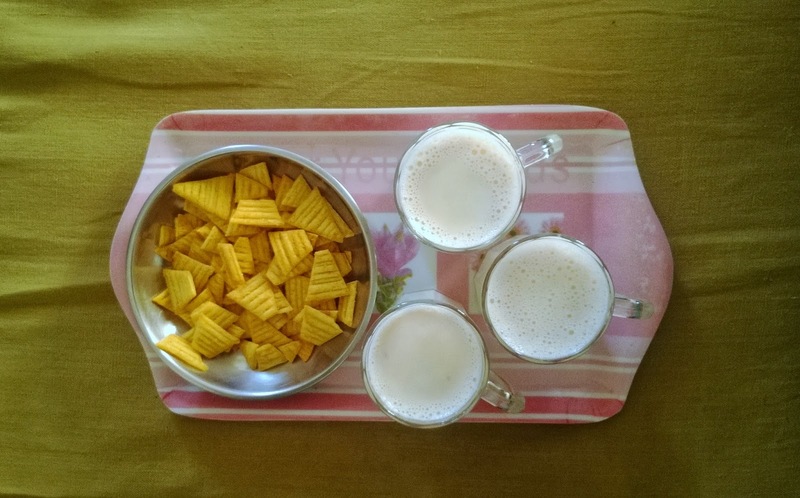 I went over my BFF, Pournami's house, as she was leaving the town today. We had loads of fun. The main reason why I enjoy at her place is that she is a makeup-addict. She doesn't apply much makeup on herself, but has lot of different makeup products with herself, at home. She also loves playing with different hairstyles. And I love it when people play with my hair, try out hairstyles or even try their makeup on me. So we both make a perfect pair. She loves doing, and I love to be the person she's doing on. I must appreciate her makeup skills and her interest in all this. She is pursuing her engineering, but she says that she would definitely give her makeup skills, a chance. And the best part is, my other BFFs from school (we form a group), don't like her applying makeup on them. So her main focus is ONLY me (Ha ha!). And then, we click pictures, lots and lots of them. She's got her dad's DSLR. 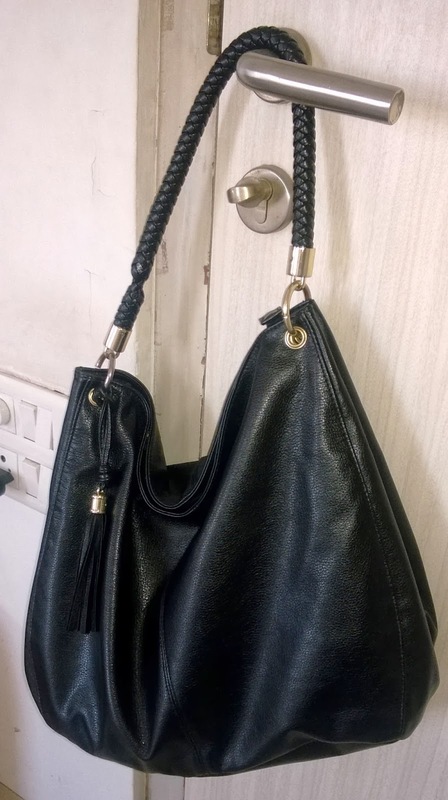 I saw an amazing bag at her place, which she bought recently, and I would love to show it to you guys. 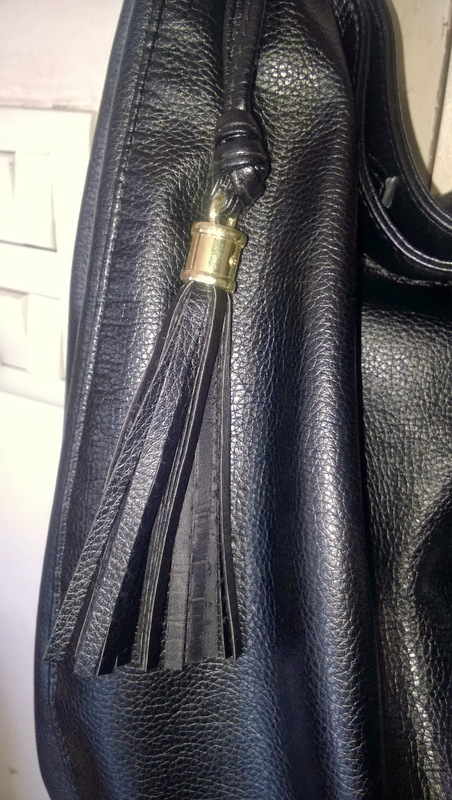 This black leather bag from Oriflame is a must-buy. It's for Rs. 2500, but she got it for Rs. 1000, after a discount. 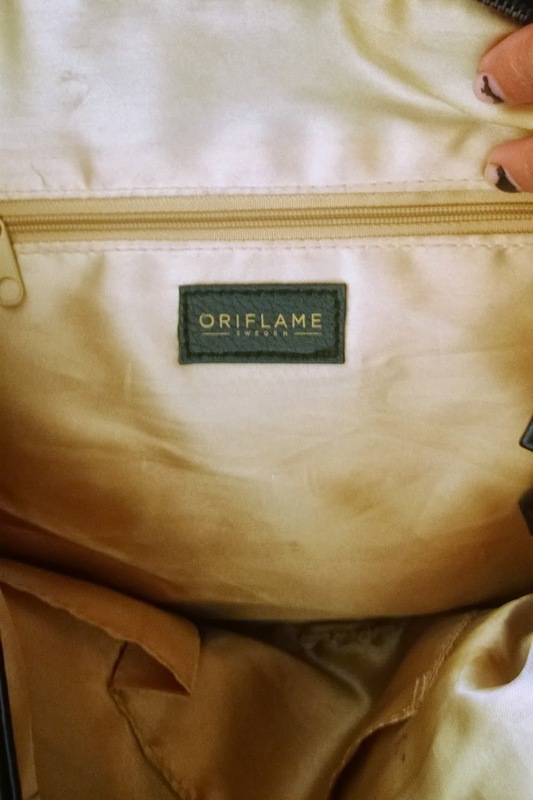 I don't know why Oriflame has such a policy as not to advertise their products. They've got some very good collection, or rather, almost every product of them, is simply great. Pournami is a big fan of Oriflame. She hardly has any cosmetic product other than that of Oriflame. I like this bag, mostly because of its tassel. Tassels add beauty to the bag (or any other thing). I loved the bag's interior, as it a silky golden, giving the bag a rich look. Such bags are good for casual as well as, formal days. Notebooks, notepads, Laptops, Water, makeup, etc. can easily fit inside. A post about a similar bag, coming soon. P.S. I won the Second price for a Presentation Competition, which was held today morning. Because of the slides preparation, and hanging out the whole day with friends, I couldn't give myself to the blog, yesterday. 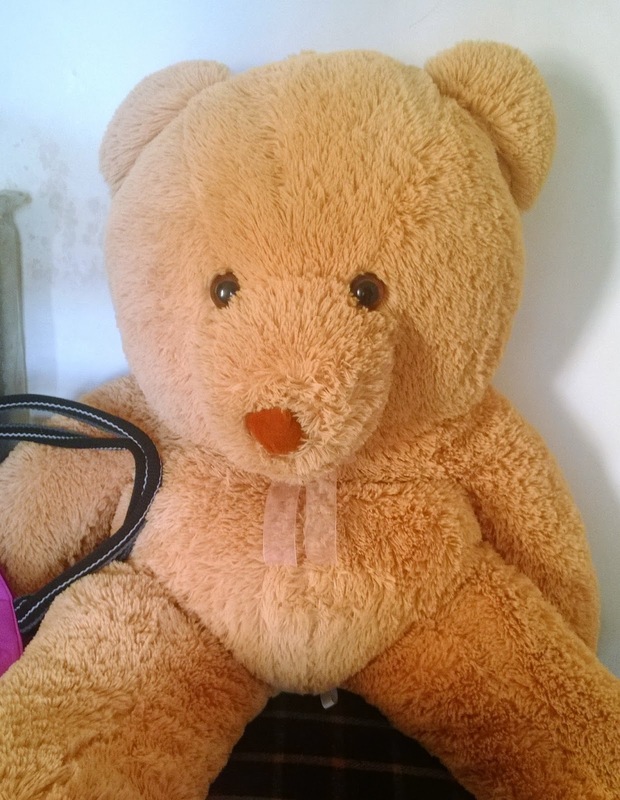 Do you have such huge handbags? And do you love those pretty tassels?